Happiness Unlimited...: Happiness Unlimited features in CWB magazine - Another bestseller on the way !! 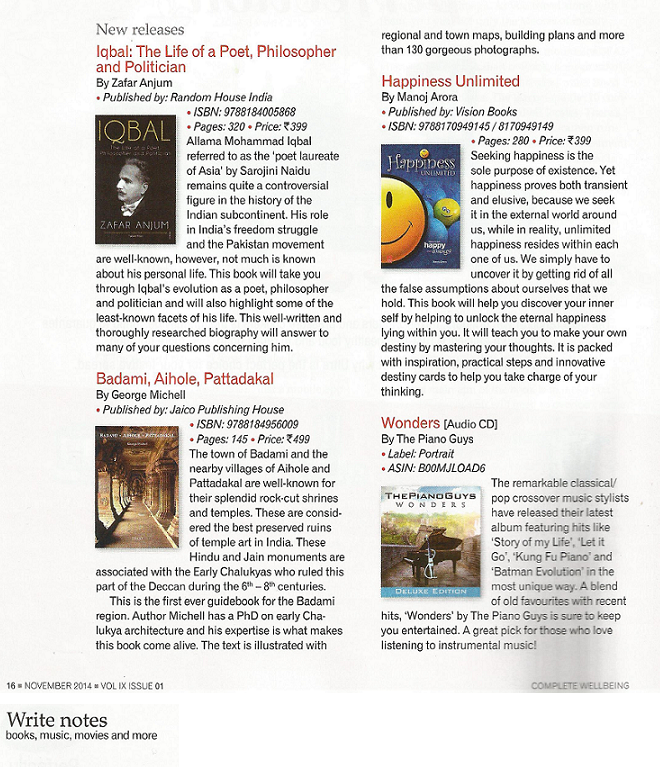 Happiness Unlimited features in CWB magazine - Another bestseller on the way !! Since the launch of the book Happiness Unlimited, it has been getting rave reviews. You can read some of them by clicking here. 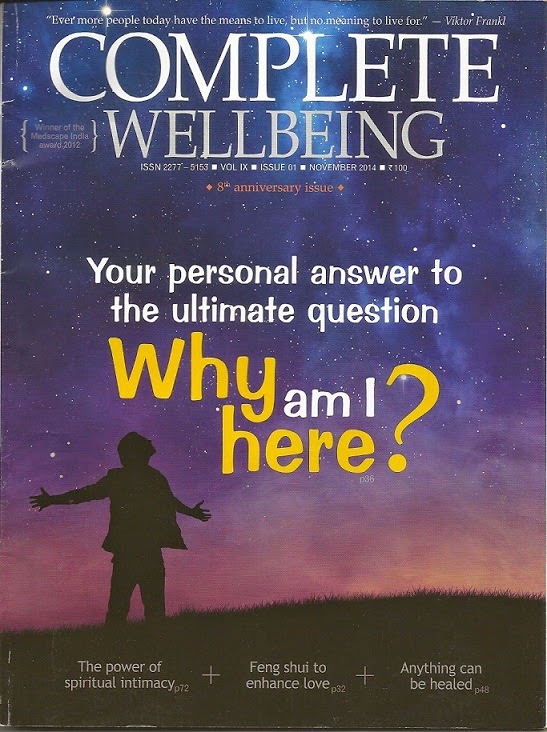 The book also recently featured in the "Complete Well Being" magazine. It has been 3 months now, and the book has received some rave reviews since its launch. Click here to read some of those comments. You can read some of the comments from its happy readers on Flipkart by clicking here. Not only that, the book has now stabilized into the Top 40 books on Happiness (current Rank # 35) among the 3,500+ books available on Happiness. It also enjoys a rating of 4.9 on Flipkart and 4.7 on Amazon. Recently, the book also got featured in the leading well being magazine in India - "Complete Well Being" and again got some awesome response. The Happiness blog hits has been going up every month. The blog now has 4,500+ hits and is becoming popular every day. Some of the most popular posts on the blog has been attracting beautiful questions and clarifications. You can also subscribe to the blog by clicking here. The You Tube videos have been increasingly becoming popular. You can subscribe to the YouTube channel by clicking here. We also recently introduced the Whats-App Service to answer your questions real time. We want you to elevate your life. We want our society to be elevated. It is a slow and steady uptrend. It is not a race, but a marathon, where mouth publicity has been the prime driver for an author like me, who comes with no clout, marketing or celebrity status. It happened exactly the same way with my first title "From the Rat Race to Financial Freedom". People have been connecting with us to increase the happiness content in their lives. So can you, for whatever you are doing today makes no sense if there are unhappy moments in your life. Each unhappy moment is a life not fully lived.